Engineered quartz (EQ) products have come a long way in the past ten years. Once monotonous and consisting of plain, solid colors, EQ has progressed into the more natural and classic looks we now have available in 2018. The most popular EQ’s for 2018 maintain the classic aesthetic of marble while providing a durable surface suitable for regular use. But what exactly are the differences between marble and EQ, and which is the better product for your upcoming project? Marble is a natural stone that is quarried from the earth, and has veining and inclusions that give it a unique character. 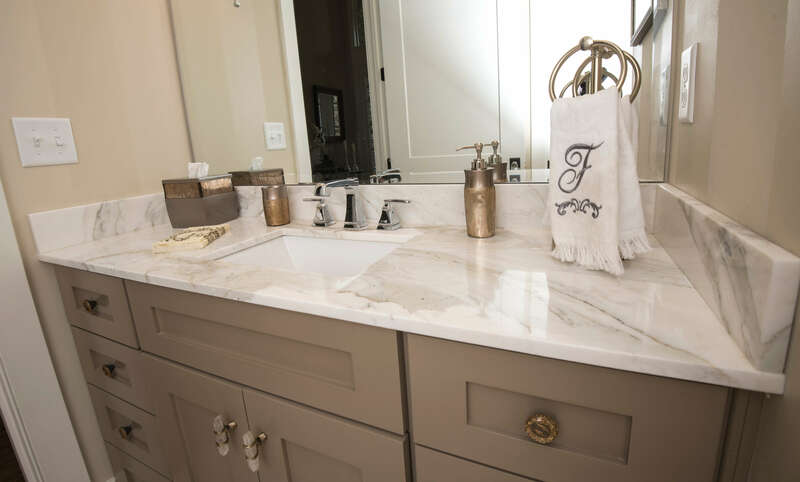 There are many types of marble, but the most popular marbles currently are light in color with grey veining, such as Statuario and Calacatta (seen in the photo). 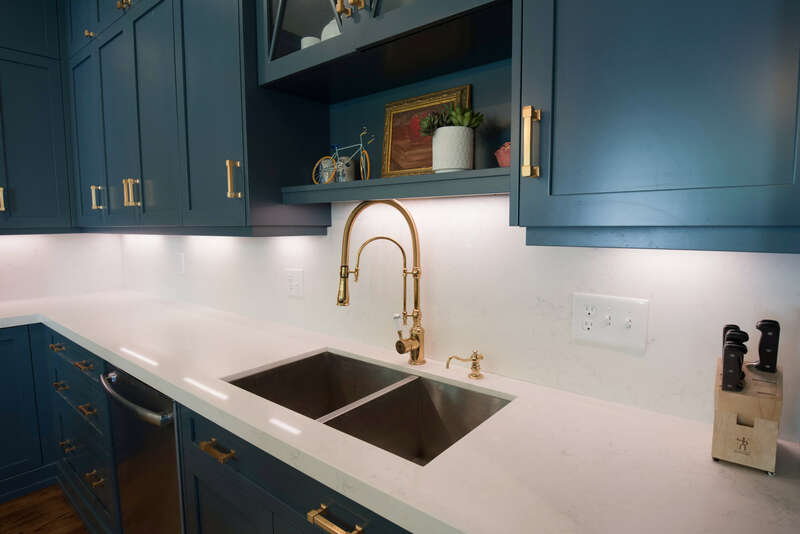 These marbles are a perfect choice for residential vanities and table tops, however caution should be taken if installed in high impact areas, such as a kitchen countertop or commercial applications. Marble is porous, and extra care must be taken to prevent etching and staining. Many EQ manufacturers are mimicking these marbles in their recent lines, and for good reason. Marble has made a huge comeback in the design world, and if you’re looking for easy maintenance, EQ is the way to go. EQ consists of approximately 93% natural stone and 7% epoxy resin, making it impervious to staining and etching. EQ never needs to be sealed, and cleaning consists of wiping with a pH neutral cleanser as needed. Because EQ is part resin, temperatures exceeding 300 degrees Fahrenheit could burn the top. The use of trivets is advised with any stone countertop due to the possibility of thermal shock, however trivets are imperative when dealing with EQ. So which product is best for your project? That depends on where the stone is being installed, how much routine maintenance you or your client are willing to undertake, and the design intent of the project. The good news is we stock an abundance of both products, so if you would like more information or to see the samples or slabs in person, please call us!